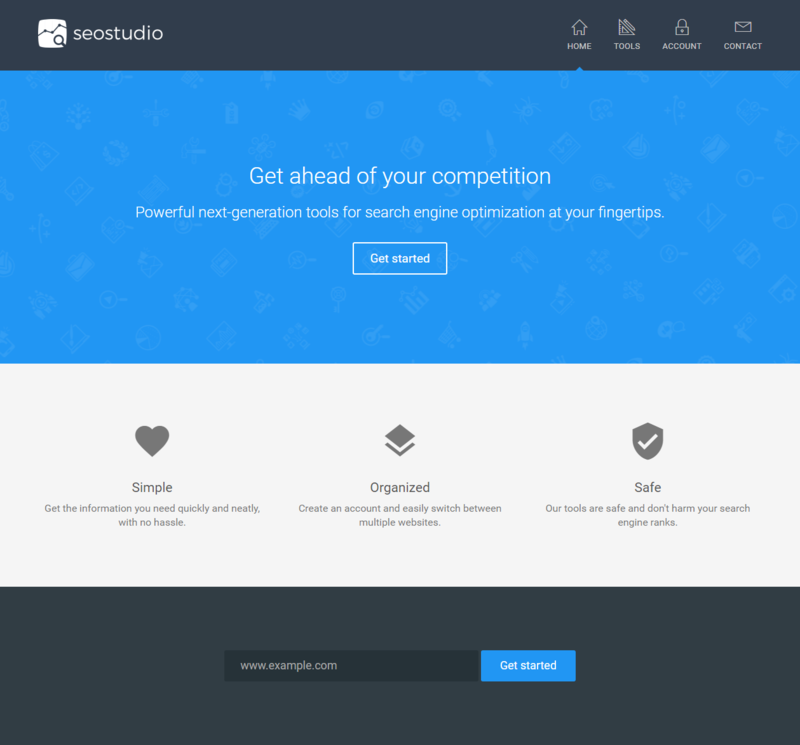 Lightweight, fast, and high-quality tools for search engine optimization and webmastering. Easily set it up on your website for your visitors or customers to use. Google SERP Find your current rank on Google for all of your keywords. Checks the first 250 results. Bing SERP Find your current rank on Bing for all of your keywords. Checks only the first 100 results. Top Search Queries Displays the top search queries that lead visitors to your website, as well as the estimated monthly search volume, CPC, and percentage of your total searches for each query. Indexed Pages Calculates the total number of pages that Google and Bing have indexed for your site. Robots.txt Reads and parses your robots.txt file the same way Google would, to find sitemaps and rules. These findings are displayed in an organized table. 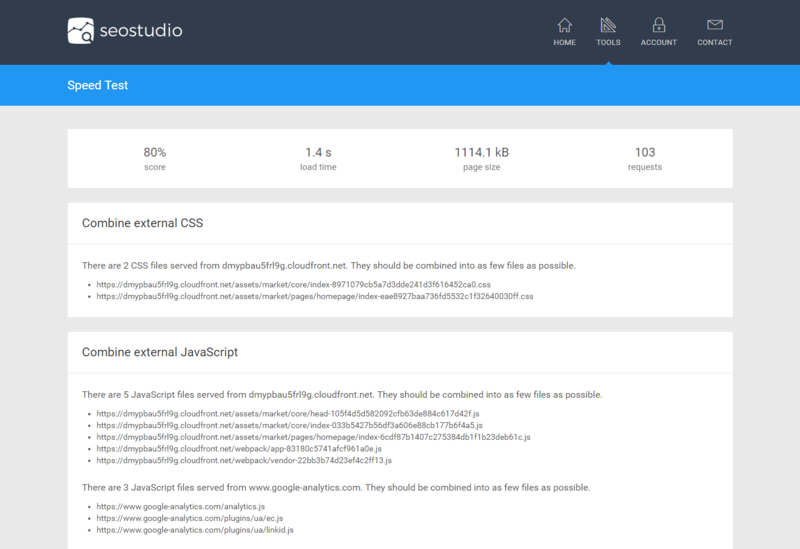 Sitemap Scans your website to find sitemap files. Each sitemap is displayed along with the status code, format, number of entries in the sitemap, and a percentile representing how hard it will be for Google and Bing to find the sitemap. 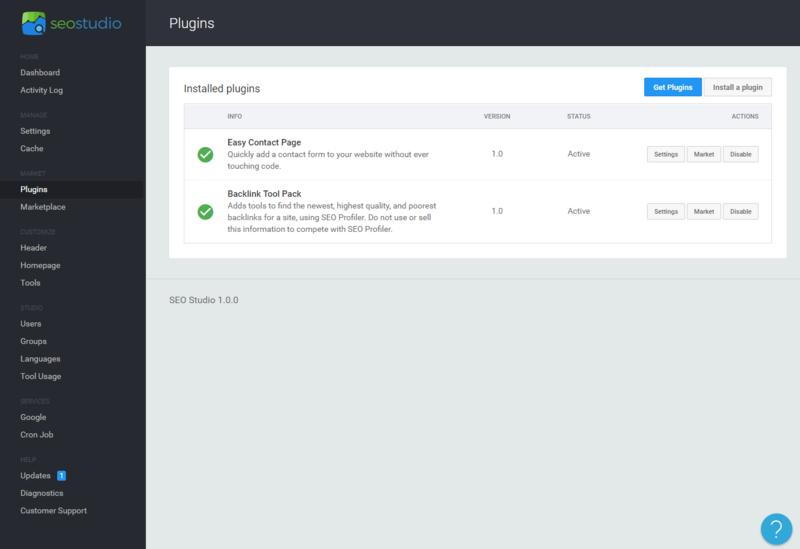 Submit Sitemaps Easily and instantly submit your sitemap(s) to Google and Bing. 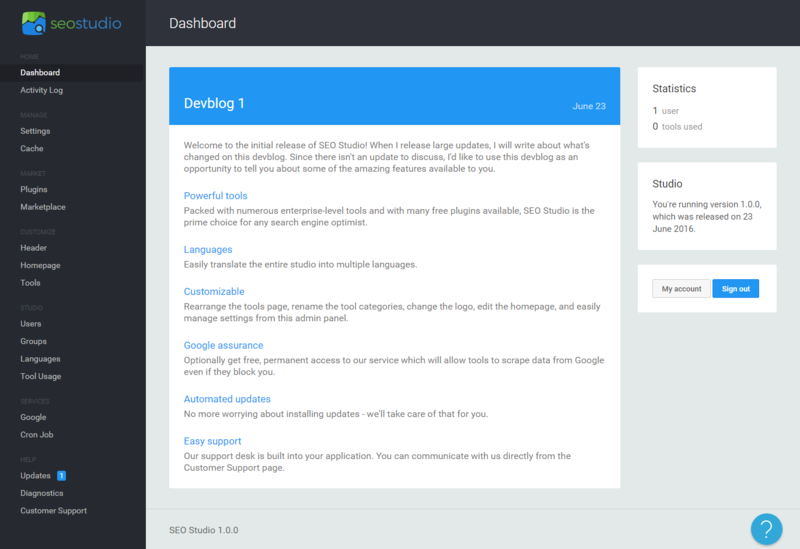 This tool is recommended for new sites and after redesigning websites. Alexa Rank Scrapes Alexa to find your current global rank. 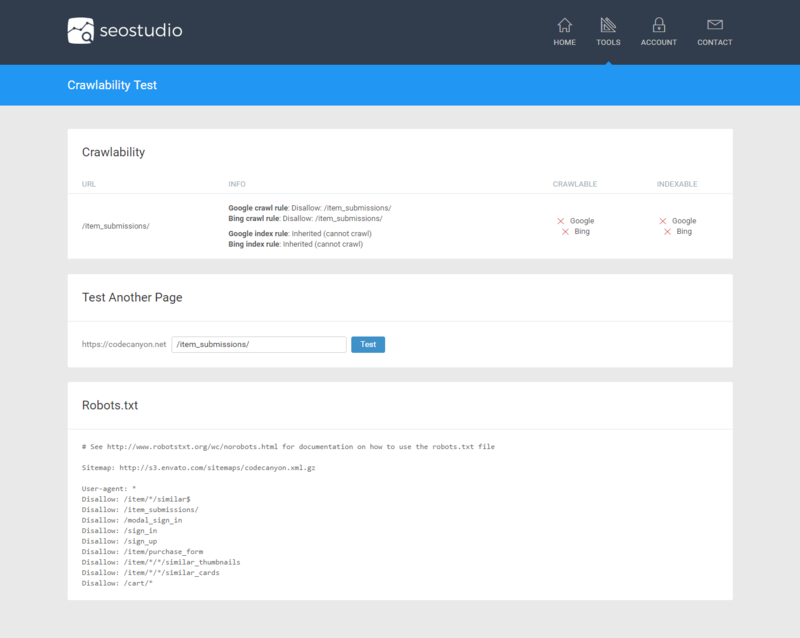 Crawlability Test Parses your robots.txt and lets you enter a URL to a page on your website. Displays whether or not that page can be crawled and/or indexed by Google and Bing. 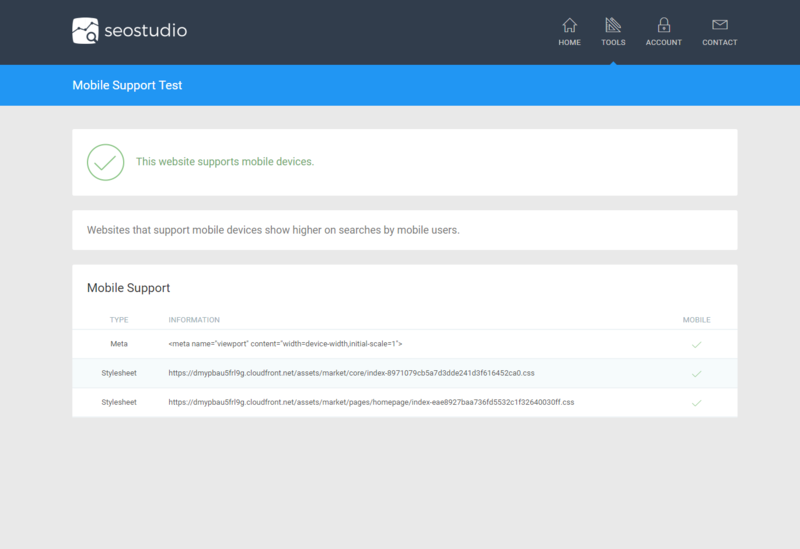 Mobile Support Tests whether or not your webpage(s) will be displayed as “mobile-friendly” on Google search results. It checks meta tags, stylesheets, and embedded styles. Headers Checks the headers returned by the page for errors or problems. Allows you to check multiple pages on your website. This tool will also check redirection, and explains whether a redirection is permanent or temporary. High Quality Backlinks Shows the top 100 highest quality backlinks pointing to your website. 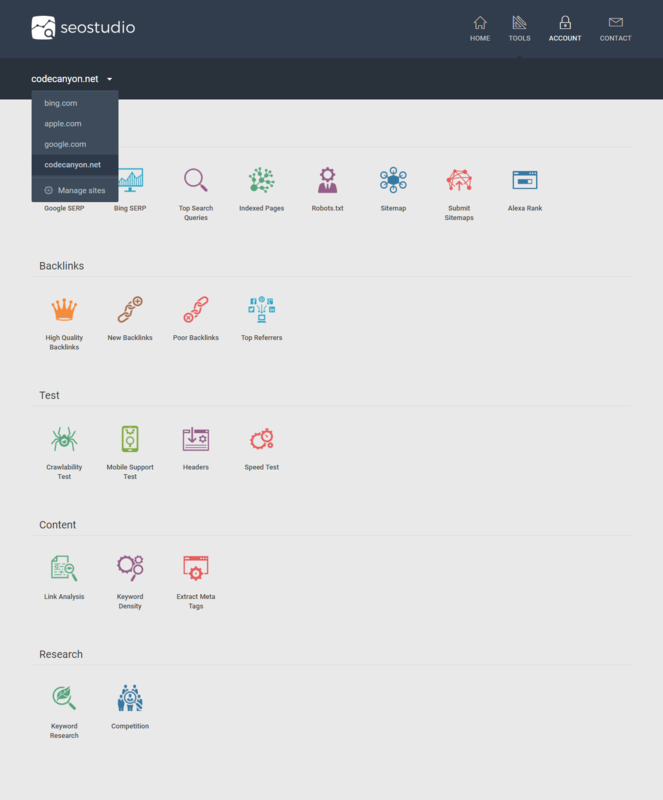 Displays anchor text, site category, strength, and more. Only works for Western domains, currently. 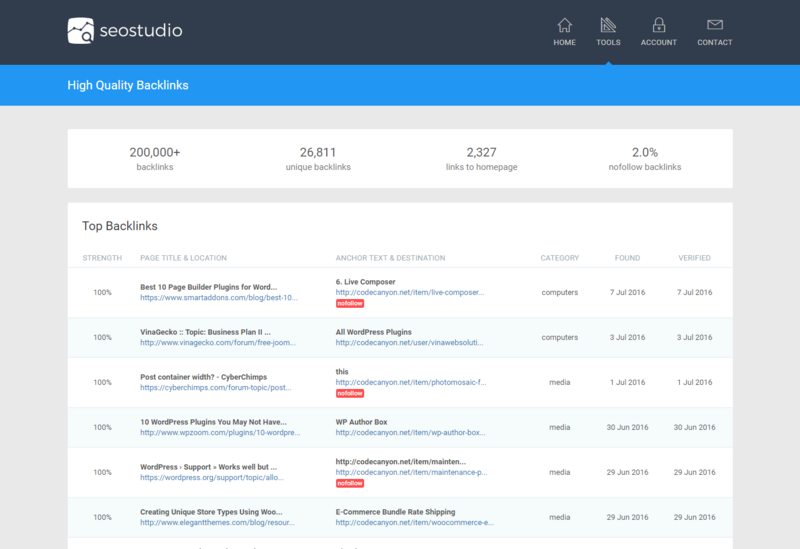 New Backlinks Shows the top 100 newest backlinks pointing to your website. Only works for Western domains, currently. Poor Backlinks Shows the top 100 lowest quality backlinks pointing to your website. Only works for Western domains, currently. Top Referrers Shows the top websites which refer the most traffic to your website. The backlink statistics for these sites is also shown. Speed Test Runs a speed test on your website and provides a score, along with PageSpeed recommendations from Google on how to improve your website’s speed. Link Analysis Checks all links on a webpage, determines whether they are internal or external (outgoing), dofollow or nofollow, and displays this information in an organized table. Keyword Density Finds the most common words or phrases on your webpage, checks them against the page title and meta description, and shows the weight of these words and phrases. A higher weight means a stronger impact on search ranks for that word or phrase. Extract Meta Tags Pulls meta tags out of the page and displays whether or not that meta tag is used by Google and Bing. Keyword Research Displays estimated monthly search volume, CPC, and market value for unlimited keywords. It also shows relevant keywords similar to the one you enter. Competition Uses Google to find your competitors for a specific keyword. Displays their ranks, link strength, number of backlinks, number of unique backlinks, and % nofollow backlinks. User management – see demo. Translate it to your own language – see demo. SEO Profiler Link your free account to enable the free backlink plugin & tools. SEO Profiler only records data for Western domains. Alexa No signup or API necessary. 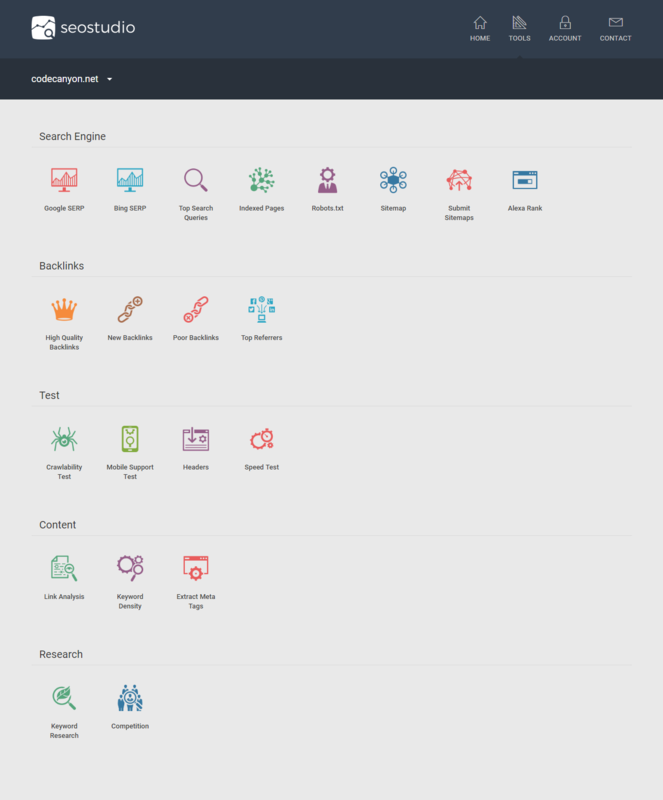 Scrapes Alexa for information like top search queries, alexa rank, and so on. Keyword Spy No signup or API necessary. Used to find CPC and search volume data for keywords. Pingdom No signup or API necessary. Used to perform a high quality speed analysis of your website. 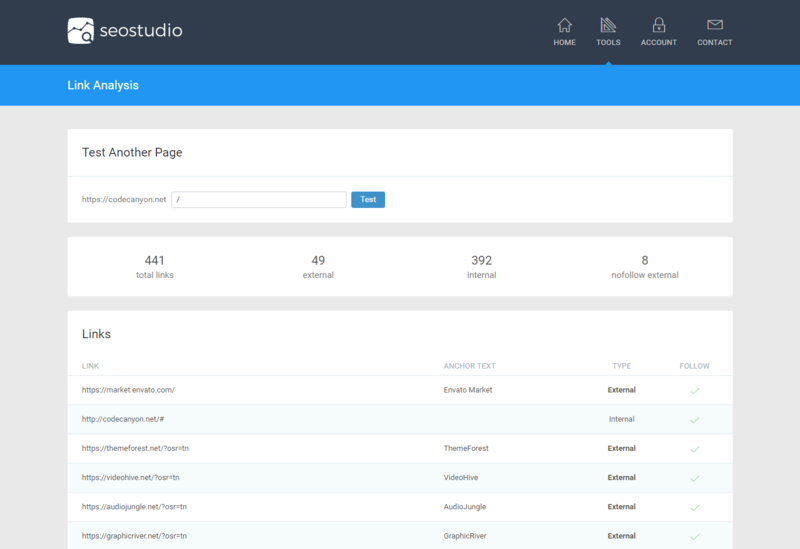 SEO Studio comes with optional automatic updates, so manual updating is never required. Here’s a simplified list of the latest changes. Added a host cache to the Competition tool to improve speed. Added support for the latest Google Search updates. Added support for the latest SEO Profiler updates. Fixed a critical random error on the Bing SERP tool. Fixed warnings and blank columns on the Competition tool. Fixed warnings on the Headers tool due to improper header formatting. Fixed a broken typecast in the Keyword Research tool. Fixed a missing variable on the Poor Backlinks tool. Fixed a warning on the Sitemaps tool when a sitemap returned HTTP 404. Fixed errors in usage reporting due to a lack of free disk space. Fixed backlink tools not working due to remote service update. Updated template files for new backlink data. Error handling improvements for plugins. 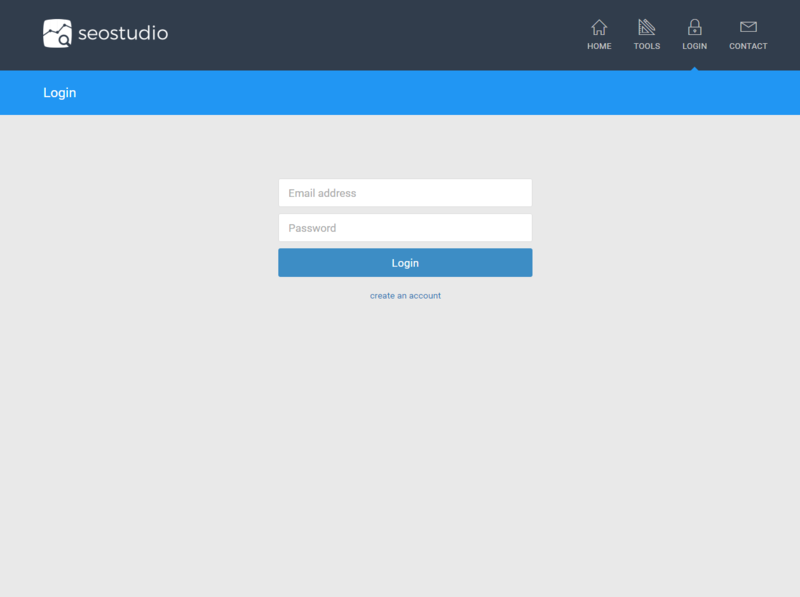 Started inviting users to beta test SEO Studio 2019. Updated keyword research tool to latest version. Added competition measurement to keyword research. Fixed a rare bug where sites that have SSL and a redirecting homepage wouldn’t work in tools. Updated tools to work with the latest Google search updates. 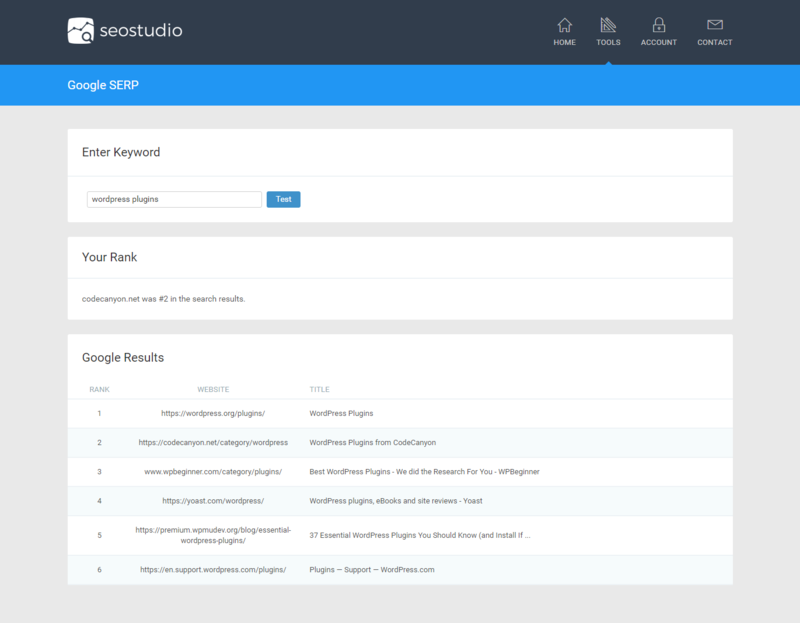 Closed beta testing for new experimental theme system and design, in preparation for SEO Studio 2019. Fixed an issue with cache on the admin panel after updating. Updates can now come with warnings. Such updates will not install automatically and the warnings must be reviewed by the admin before they can install. Fixed issues with new lines and tabs being saved to the error log. New features and tools begin rolling out soon. Added an error case for when domains send back invalid responses. Fixed a fatal error relating to corrupted tool result caches. Fixed a fatal error when one or more Google results were missing descriptions. Fixed a warning from incorrect file permissions when automatically sending usage data. Fixed a fatal error relating to email validation on the account settings page. Removed the box on the admin panel asking users to rate the product. Fixed the HTML DOM parser not working for large webpages. Added an error logging system into the diagnostics page. Updated Alexa dependency to use SSL protocol. Fixed a broken link on the account > my websites page. Fixed new email validation issue in user registration. Fixes a silent error in the Keyword Density tool relating to unicode alphanumeric character stripping. Updated the Speed Test tool to the newest API. Added gzip compression support for CURL requests. Fixed fatal errors in the tools added by the backlinks plugin. 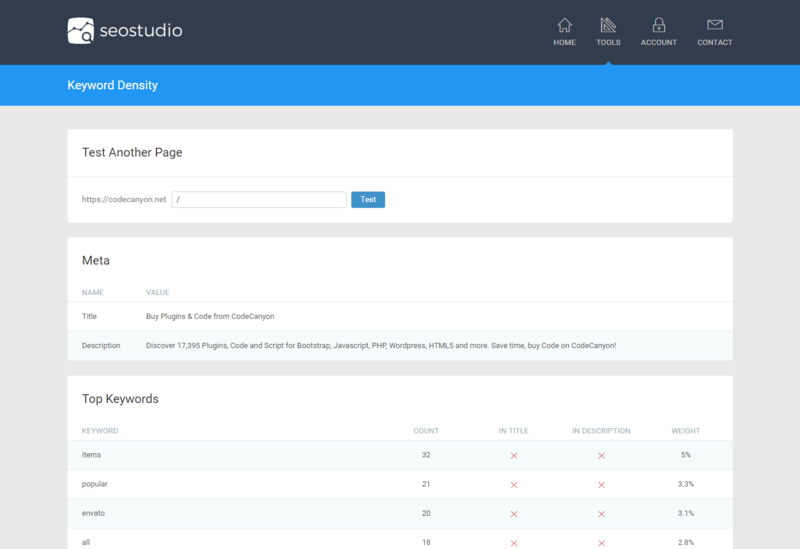 Improves the Keyword Research tool to show results for many more keywords. Added a delete button to websites on the user dashboard. Fixed the broken delete button for websites in the admin panel. 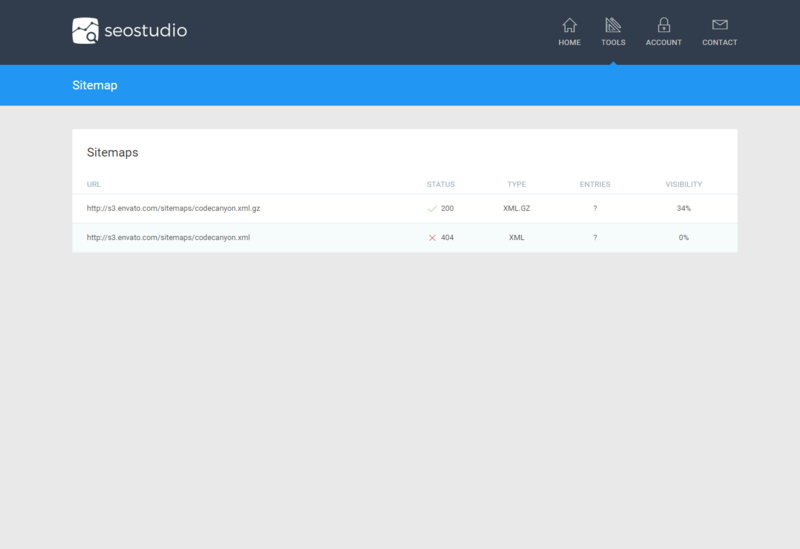 Improved the ability of CURL to connect to websites on the same server as the installed application.